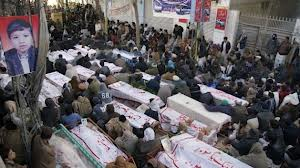 QUETTA, June 30: At least 28 men and women of Shia Hazara community were killed and 60 others injured in a suicide blast in the Aliabad area of Hazara town on Sunday night. “A suicide bomber blew himself up near a barrier close to Ali Ibn-Abu-Talib Imambargah,” DIG (Investigation) Syed Mobin Ahmed told Dawn. The proscribed Lashkar-i-Jhangvi has claimed responsibility for the attack. A spokesman for the group who identified himself as Abubakar Siddique told a private TV channel that his group had carried out the attack in the Hazara town. At least nine women were among the dead. Sources said that an unidentified man on a bicycle tried to enter the area and when people standing near the barrier tried to stop him he blew himself up. The blast occurred at the Balkhi Chowk which is near to the Imambargah. Capital City Police Officer Mir Zubair Mehmood told reporters that prayers were being held inside the Imambargah when the blast took place. He said the target of the bomber was Imambargah but he could not reach there because people responsible for security of the Imambargah stopped him at the barrier. He said the head and parts of the bomber’s body had been found. Eyewitnesses said a large number of people, including women and children, were at the place at the time of the blast. 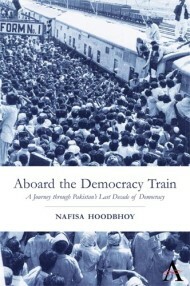 Press photographer Saeed Ahmed told Dawn that human flesh and limbs were lying all over the place. not allow even rescue personnel to enter the area for fear of a second blast. Hazara town resounded with gunfire after the explosion. Two hand-grenades were found at the blast site which the suicide bomber reportedly carried. The injured and the bodies were taken to the Bolan Medical College Hospital and the Combined Military Hospital. Hospital sources said the death toll could rise because at least 10 of the injured were stated to be in serious condition. Several nearby buildings and vehicles parked in the area were badly damaged by the blast. This was second bomb attack in Hazara town over the past five months. The previous blast, caused by explosive in a water-tanker on Feb 16, killed about 100 people and left over 200 injured. Balochistan Governor Mohammad Khan Achakzai and Chief Minister Dr Abdul Malik Baloch condemned the blast and expressed grief over the loss of lives. They expressed sympathy with the bereaved families. Official sources at the Chief Minister’s Secretariat told this reporter that the chief minister who was in Islamabad on an official visit, decided to return to Quetta after coming to know about the attack. “The chief minister has directed officials concerned to ensure adequate medical treatment of the injured,” they said. This entry was posted in Pakistan Politics, Terrorism. Bookmark the permalink.